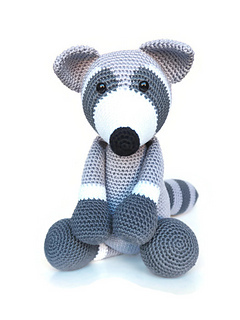 The raccoon, crocheted with Scheepjes Catona yarn and 2.5 mm hook, is about 23 cm (9 inch) high. 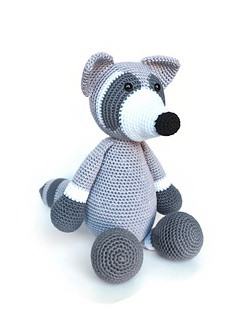 You are allowed to sell self-made rattles based on this pattern. Please respect me as designer and writer of this pattern, and don’t publish this pattern online or in any other way / resell this pattern. 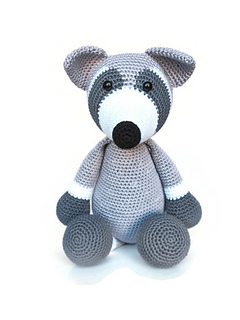 Refer your friends to my store (knufl.etsy.com) so they can buy their own pattern.